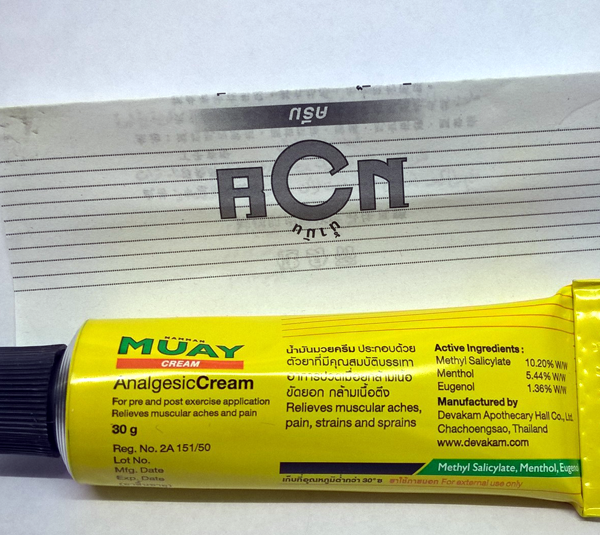 Use: The cream is designed to relieve muscle pain, muscle immobility, disability arthritis, rheumatic pain, injuries and strains. After applying cream the skin will be perfectly perfused and has a warm-cool effect. Application: Apply the cream to the affected painful area and massage gently until the cream is completely absorbed into the skin. Cream applied to affected areas application area is warm and calm the pain. After the application can be locally flushing. Use it 2-4 times a day. Note: Cream should not be used on infected sites, or broken and injured skin areas. 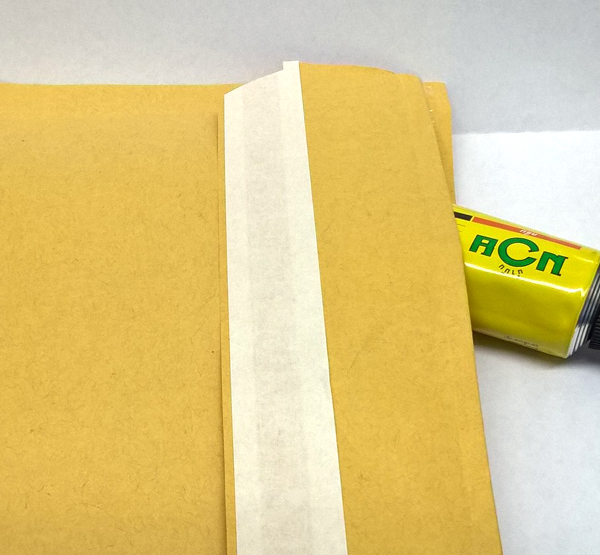 Avoid contact with eyes and mucous membranes! 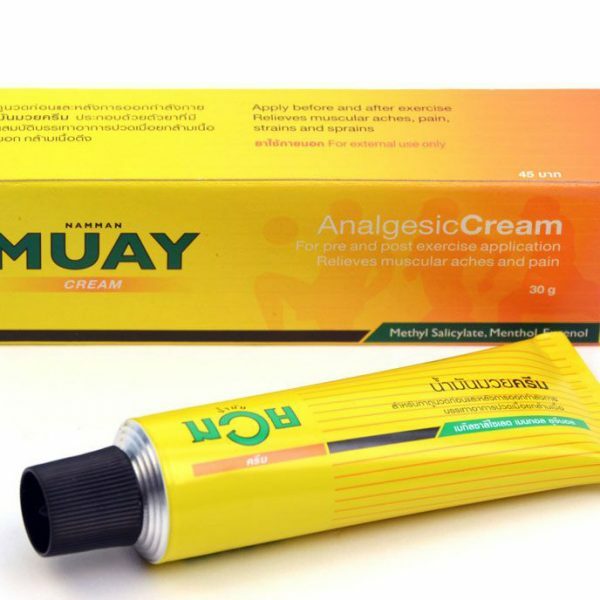 Muay Thai Boxing Cream is the well known unique massage cream which is used by Thai boxers. It provides warmth to relax the muscles before or after any strenuous exercise so you’ll be ready for action, training session or competition. 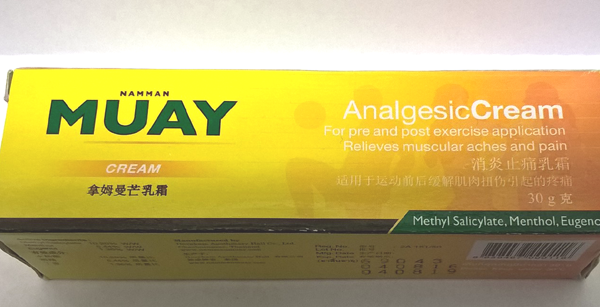 Apply before as a pre-sport warm up and after exercise to relieve muscular aches, pain, strains and sprains. 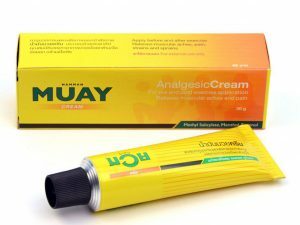 sizes 30 grams muay Thai boxing cream (in Thai: Nam man muay) Muay Thai boxing cream is the well known very popular analgesic cream brand “Nam man muay” from Thailand. 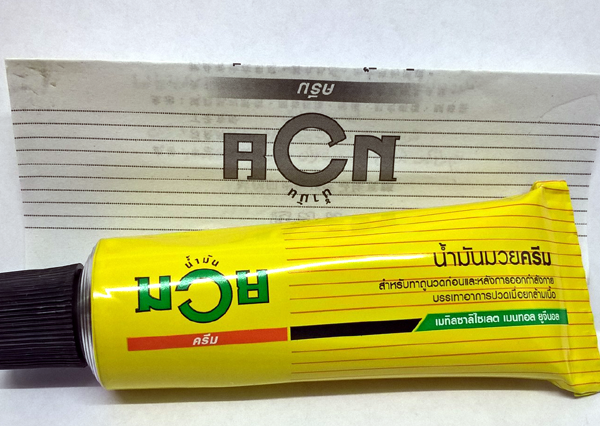 This unique massage cream is used by Thai boxers, kickboxers and athletes around the world. It’s a must for any training session or competition providing that warmth to relax the muscles before or after any strenuous exercise. 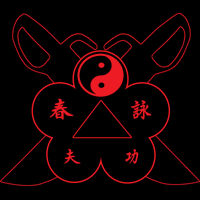 Many practitioners that currently use this product all know that it is a necessity before any serious fight. You just simply rub/massage it into your muscles and before long you’ll warm up those muscles and open up your nostrils with that distinct odour, and you’ll be ready for action. This product can be used as a warm-up tool or simply apply to those tired, aching or mildly injured muscles. Indicated for relief of muscular aches arthritic rheumatic pain strains sprain directions: apply boxing cream all over the body as a pre-sport warm up and gently massage, then re-apply after sport or strenuous activity to loosen tight muscles or for pain relief. 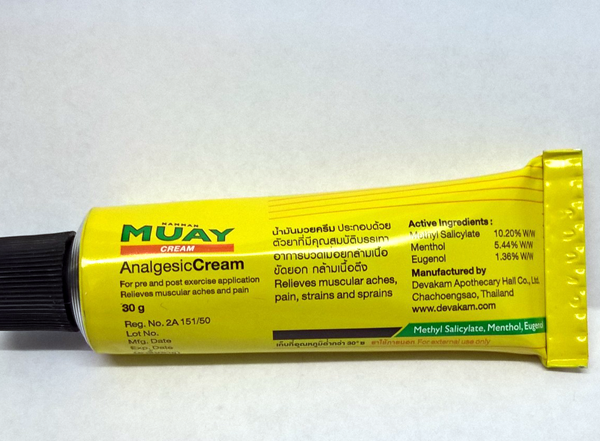 Apply boxing cream as an injury treatment at least 3-4 times a day to the stiff or painful areas and gently massage. 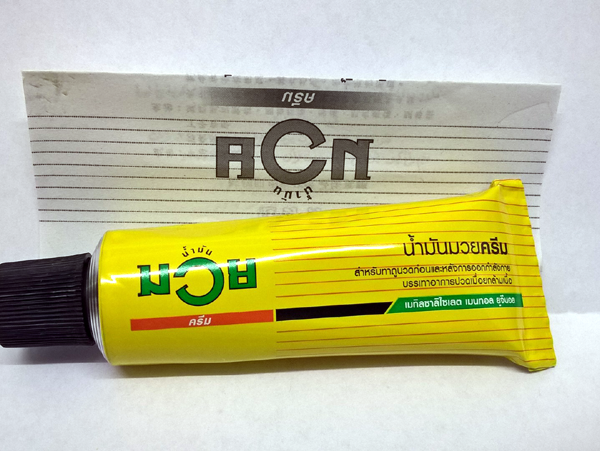 Contra-indications: not to be used on infected and/or injured areas of skin. Active-ingredients: methyl salicylate 10.2 per cent menthol 5.44 per cent eugenol 1.36 per cent side-effect: there are no known side-effects.